برنامج Avast Internet Security 10.0.2208 برنامج أفاست انترنت سكيورتي 2015 افاست انترنت سكيورتي 2015 ، وهذا تحديث لاخر اصدار من برنامج حماية الكمبيوتر من الفيروسات والملفات الخبيثة والضارة. الان مع برنامج avast! Internet Security افاست الجديد تمتع بحماية كاملة وشاملة من الفيروسات وملفات التجسس ، كما أنه يفحص البريد الالكتروني ايضا واي شيء توصل منه بيانات لجهازك . 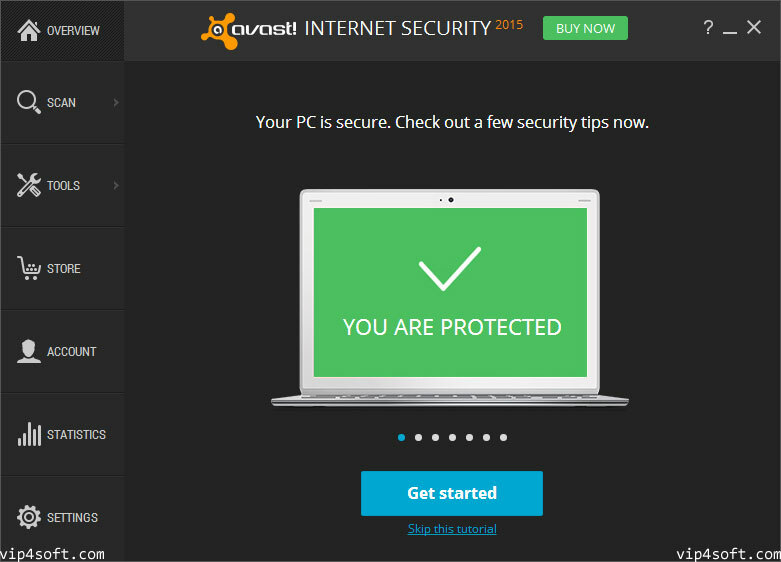 Avast’s Internet Security is the most complete suite that the company issues. It bundles an antivirus module, a two-way firewall, antispam and antispyware modules that combine their power to provide an unbreakable wall against all kinds of threats. Avast! Internet Security uses the same antivirus engine as the company’s Pro Antivirus. It provides real-time protection and various scan modes for both your computer and for removable devices as well. A special type of scan is the Boot-Time mode, which scans the operating system right before startup, making sure to clean any infected files (it doesn’t even take long).